Disposable non-rebreathing airways with one-way valve are changed after each class for maximum instructor convenience and student safety. 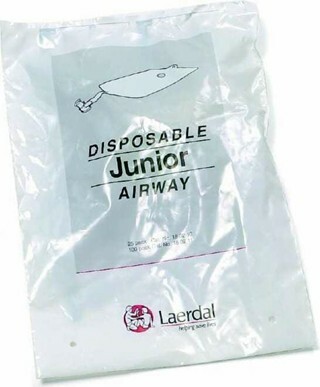 Airway fits Resusci Junior and Little Junior Manikins. Package of 25 airways.